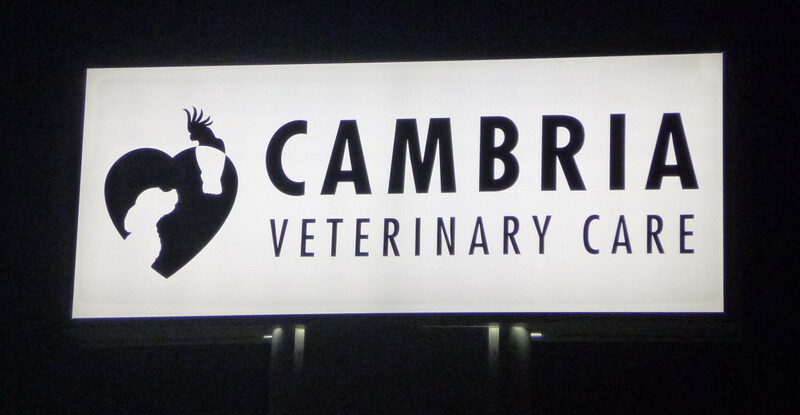 Cambria Veterinary Care is conveniently located in the heart of Johnstown’s cultural and museum district. The facility is totally accessible with ample parking. From points north, south and east: Take Route 219 to Route 56 west (Johnstown expressway). Expressway becomes Broad Street. 516 Broad Street is on the right between Fifth and Sixth Avenue. From points west: Take Route 22 to Route 56 east toward Johnstown. Follow Route 56 through the west end of Johnstown to Broad Street. Turn right on Broad Street. 516 Broad Street is on the left between Sixth and Fifth Avenue.